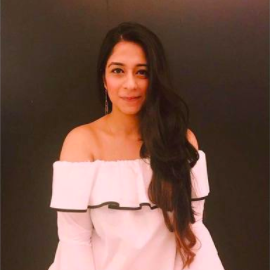 Team POPxo Picks Their Favourite Indian Outfits For This Diwali! The month of October is all about festivities and Diwali is almost here. If a lot of diwali card parties and extravagant family dinners are marked on your social calendar, a wardrobe of gorgeous ethnic outfits is absolutely crucial for you. 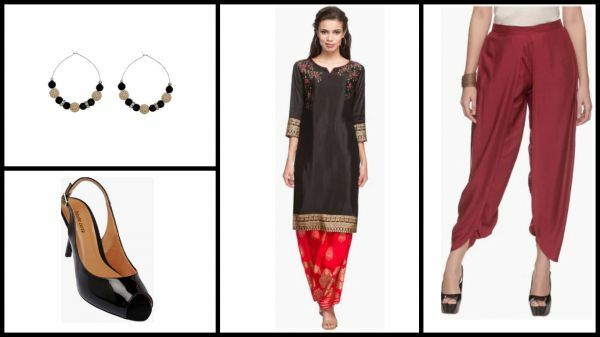 From trendy kurtas to bright anarkalis, we found some fabulous festive wardrobe must- haves from Shoppers Stop and created a cheat sheet of our favorite picks to help you retain your fashionista status. The best part? These pretty pieces are just a click away. Don't put your printed kurtas away during Diwali week just yet- there is still a chance to wear them! The evening you are in the mood to play cards or sit back and relax as your bae’s lady luck- then pairing a printed kurta with a bright sharara is just right. Make your outfit special by wearing your favorite shade of pink lipstick and kohled eyes. 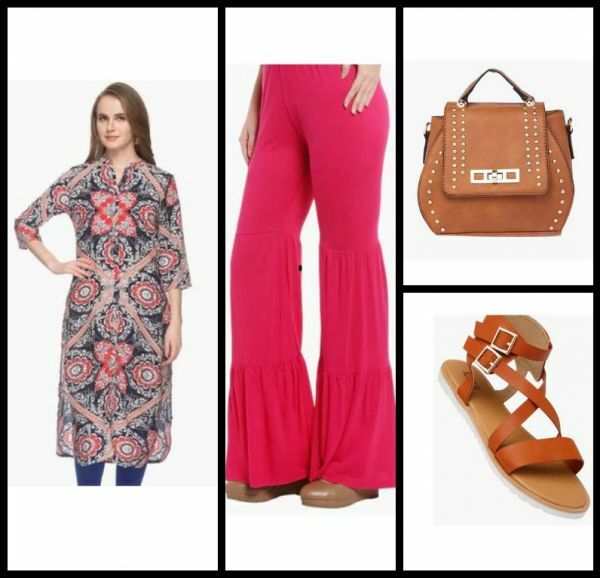 Get the look- Haute Curry Kurta (Rs 1000), Haute Curry bag (Rs 1599), Life flats (Rs 1899), Stop palazzos (Rs 899). One of the most graceful of traditional outfits, there is no denying the power of a stunning suit-palazzo set. We recommend opting for a bright yellow this festive season which is a refreshing change from the usual pinks and reds. Style your suit with heels, jhumkis, and a sleek bun to make a sizzling entry at your family’s next Diwali dinner. When you are playing hostess- all eyes will be on you and as a rule you must never disappoint any on-lookers! Invest in this beautiful pink palazzo suit with delicate embroidery that will wow your guests and yet be comfortable enough for you to be the busy hostess. Style this suit set with bangles and golden sandals. Get this look- Kashish Palazzo suit (Rs 3307), Haute curry sandals (Rs 1699), Kashish bangles (Rs 199). For ladies who always keep it less, choose and buy statement pieces that will make you look beautiful with minimal effort. A black printed kurta matched with stunning berry coloured dhoti pants is a look your heart will crush on. Add heels and jhumkis with a relaxed hairdo. Don't miss out on the golden eyeshadow! Get this look: Stop Kurta (Rs 826), Haute curry dhoti pants (Rs 650), Kashish earrings (Rs 99), Haute curry heels (Rs 3199). No festive wardrobe is complete without an anarkali gown. Anarkali gowns uplift our wardrobe by adding a lot of elegance, unlike any other ethnic outfit. 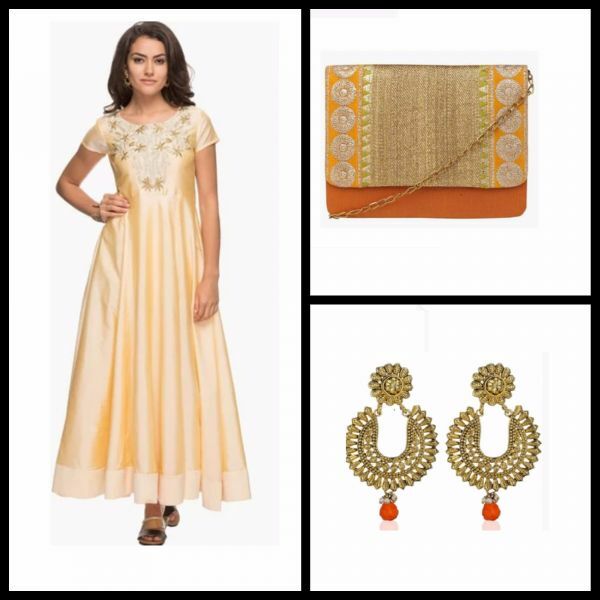 Wear this gorgeous gown styled with gold earrings with orange drops for a nice contrast followed by subtle make-up for the grand finale - the Diwali puja. If you have another cards party right after, this gown will let you make that transition easily. *This post is in association with Shoppers Stop.